What governed the interpretation of Scripture in the early church? Hint: it was both the same as and quite different from our approach today. Neither the New Testament authors or the early church fathers practices historical criticism or the grammatical-historical method. 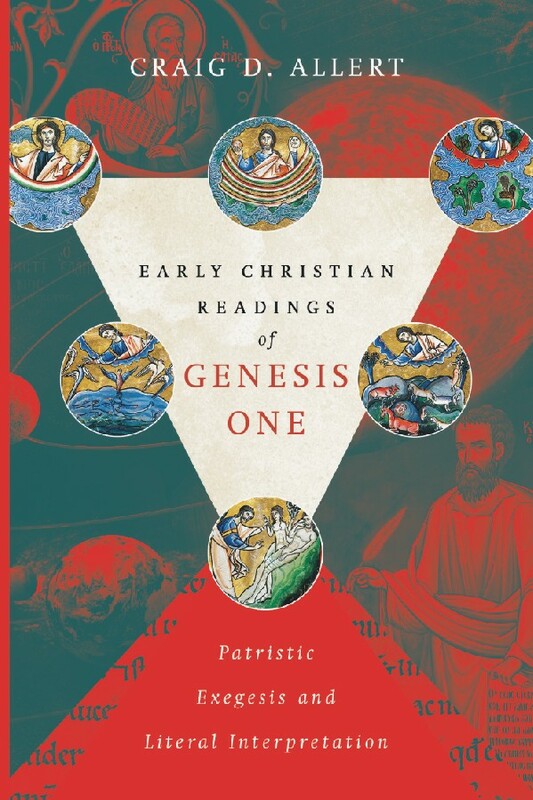 Craig Allert (Early Christian Readings of Genesis One) starts by looking at Paul’s use of Scripture and then moves to consider several of the early church Fathers. Tell me, you who desire to be subject to the law, will you not listen to the law? For it is written that Abraham had two sons, one by a slave woman and the other by a free woman. One, the child of the slave, was born according to the flesh; the other, the child of the free woman, was born through the promise. Now this is an allegory: these women are two covenants. One woman, in fact, is Hagar, from Mount Sinai, bearing children for slavery. Now Hagar is Mount Sinai in Arabia and corresponds to the present Jerusalem, for she is in slavery with her children. But the other woman corresponds to the Jerusalem above; she is free, and she is our mother. Allert notes that “Paul goes beyond the historical … and, in fact shows no real concern to find the author’s original intended meaning before he comes to his conclusions.” (p. 116) He goes on, “Paul does not limit the text to what can be discovered historically. … He allows later insight that is based on later revelation to influence his inspired reading of the narrative. The context in which Paul interprets is not historical; it is theological.” (p. 116) The other passages provide additional examples of the way Paul used Scripture in light of his understanding through Christ. The Old Testament is understood in the light of the coming of Christ. Paul’s approach to Scripture provided a model that was followed in various ways by the early church fathers. Scripture is read and interpreted with Christ at the center. The Influence of Education. Moving beyond the important example provided by Paul (and I’d suggest Matthew and Luke), the methods used by the early church fathers were also influenced by the educational structures of their day. Just as our approach is shaped somewhat by our educational system today and Paul was shaped by his education as a Jew. Education is important. Two approaches are often identified in the early church – one associated with Antioch and the other with Alexandria. The Antiochene approach was influenced the Greek system of reading and interacting with texts and in speech making. Rhetoric is important. The most important aspect of a text was the effect it produced on the audience. The coherence of the narrative story was central. This approach to literature informed their reading and interpretation of Scripture. The Alexandrian approach was more philosophical – where symbolic allegory and the search for a deeper meaning informed the reading of literature. Origen is an example of the Alexandrian approach. This was not fanciful speculation, but viewed as a method for understanding the message of Christ revealed in Scripture. On Belly-Mythers and Literal Reading. It is common in some circles today to dismiss the Alexandrian approach as allegory gone wild and embrace the Antiochene approach as literal and something akin to the grammatical-historical method. This is not accurate and does disservice to both approaches. Allert digs into a specific example, where the interpretations of Origen the Alexandrian and Eustathius the Antiochene are at odds, to demonstrate the limitations of such analysis. The passage in 1 Samuel 28 relates King Saul’s visit to a medium at Endor. The woman summons Samuel from the dead and Samuel tells Saul that his troubles are just as had been predicted and the result of disobedience. This passage raises many problems – in the early church and still for many today. 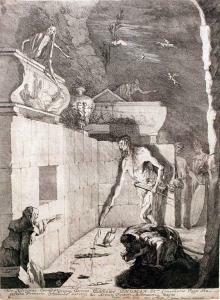 Did a medium really have control over Samuel and the ability to summon him? Origen (the “allegorist”) argues that the passage should be understood literally and historically. The passage reads this way and should not trouble the Christian – although it takes some work to understand why. Allert notes “For Origen, it is the Holy Spirit who is here speaking in the person (prosopon) of the narrator, and he gives every indication that Saul “knew it was Samuel” (v. 14) and introduces his words with “Samuel said” (vv. 15-16) without reservation.” (p. 150) Thus Origen begins his exegesis from this literal-historical foundation. Eustathius (the “literalist”), on the other hand, rejects the literal interpretation because it doesn’t fit the moral narrative of Scripture as he understands it. In his interpretation he “looks for a warrant to explain why the reader should not accept the words as they stand.” (p. 152) Later … “Eustathius wants to prove that the medium is speaking falsehoods, and in the process he resorts to standard rhetorical techniques.” (p. 155) Eustathius is focused on the narrative logic of the text. Because of this he feels free to go beyond the verbal details of the text. Origen sticks to the text. But … the detailed digging into the text of Scripture is colored by different approaches. There has not been one correct method practiced by the faithful Christians throughout the history of the church. Methods are shaped by culture and education. Early Christian readings of Genesis (and the rest of Scripture) need to be understood in their context not held captive to ours. You may also comment on One Story From Genesis to Revelation at Jesus Creed. This entry was posted in Bible, Christianity and tagged Craig D. Allert. Bookmark the permalink.